Nicole by OPI launches its first neon nail lacquer with two limited edition mini kits. Scandalous! 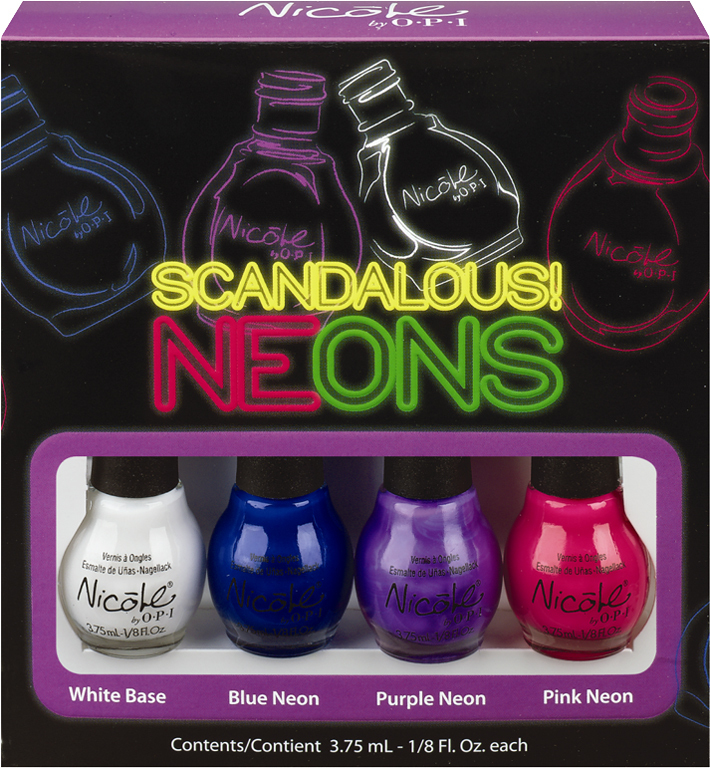 Neons includes vivid shades of blue, purple and pink while the Notorious! Neons includes vibrant shades of green, fuchsia and orange. In addition to the white base, Scandalous! Neons includes: Blue Neon (this blatant blue is deliberately belligerent), Purple Neon (this attention-seeking purple is a real publicity hound), and Pink Neon (this pink's purpose is to provoke your senses). Along with white base, Notorious! Neons includes: Green Neon (this gossip-stirring green is the talk of the town), Fuchsia Neon (this fuchsia is famous for being unabashedly bold), and Orange Neon (this outrageous orange doesn't know the meaning of meek). Nicole by OPI formulas are long-lasting, fast-drying, and salon-quality. Scandalous! Neons and Notorious! 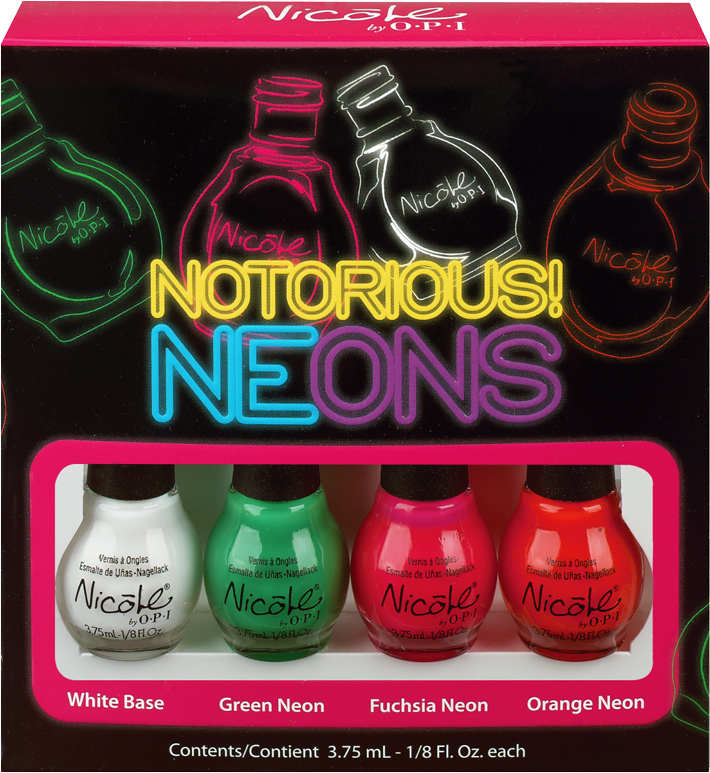 Neons mini packs will be available in stores beginning May 2013 for $10 each at retailers including Meijer, CVS, Duane Reade, H-E-B, Kroger, and ShopKo. Top Coat Plus will be sold alongside the kits for $7.99. In Canada, the kits will be available for $12.50 each and Top Coat Plus for $10.99 at Loblaw, Jean Coutu, Rexall, London Drugs, and Shoppers Drug Mart.